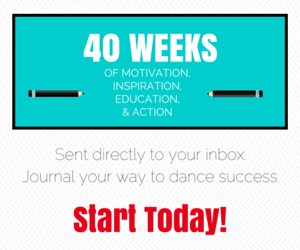 Can a professional dancer maintain her career and be a mom, too? For a long time women in dance were discouraged from becoming mothers and having a child would have ended a performing career. As gender inequality issues rose to the surface of public consciousness in the 1960’s, ballerinas like Allegra Kent began to challenge the notion that a professional performance career and motherhood were mutually exclusive pursuits. However, it is within only the last 10 to 15 years that support from dance companies and organizations has made it possible for more mothers to continue and pursue their careers in dance. Balancing any career with motherhood has its challenges but mother/dancers certainly face some unique concerns and questions. To produce a picture of what it is like for mothers who are also professional dancers, I spoke with two dancing moms, one a ballet dancer, one a contemporary dance artist and choreographer. 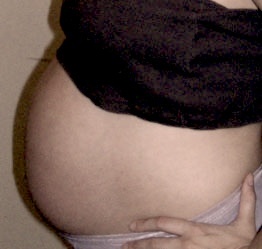 In this first installment, we discuss pregnancy and what it is like to dance and perform while expecting. The guidelines for maintaining a healthy pregnancy are generally the same whether a mother is dancing or not — plenty of rest, awareness in terms of over-doing it, pack healthy snacks and drink lots of water. 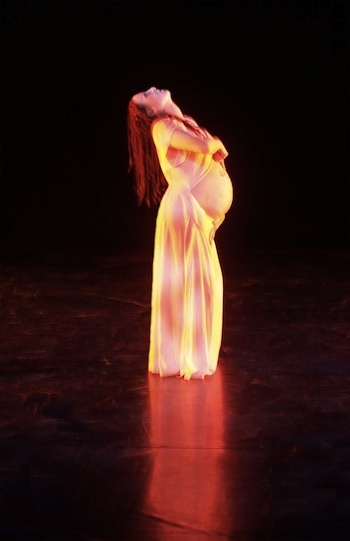 Sara also suggests that a dancer must “be smart in how you rehearse and communicate with those that you are working with.” Toni adds that continuing to dance during pregnancy was important for her mental health as well. “Without dance, I might have killed my husband, then gone on a shooting spree,” she jokes. Part Two of mothers in dance (on managing a career and family) tomorrow on Dance Advantage! On May 7, 8, and 9, 2010 at 8:00 p.m. Sara Webb will perform with Houston Ballet at Miller Outdoor Theatre in Hermann Park. The free performances will feature three diverse works by three of today’s most sought-after choreographers. Call 281.FREE.FUN (281-373-3386) for further ticket information or visit www.milleroutdoortheatre.com. On May 13-15 and 20-22 at 8:00 p.m. Toni Leago Valle will premiere her company 6º in a joint performance with Amy Ell’s Vault at DiverseWorks, 1117 East Freeway, Houston, TX, 77002. For more information, visit www.amyell.com or www.6degreesdance.org. Angie, as a mom of 2 I can say that embarking on that dance dream after kids would not be an easy road! It’s not as though the work and commitment of having children ends once you’ve given birth – far from it. And having a baby at 18 would have its own challenges as well. Many, many established dancers (like Toni and Sara in the article) are having babies during and after their performing career has run its course – but that’s the thing, most have the security of being more established. I think you’d be undermining your career (and maybe even your relationship) to rush into having children now, when you may not truly be ready. A dance performance career is temporary, sometimes even short-lived. Motherhood is forever. I’d advise you to nurture the dance part first so that when you are older and more mature you’ll be better equipped to dance AND nurture your children and relationship. Best of luck to you!